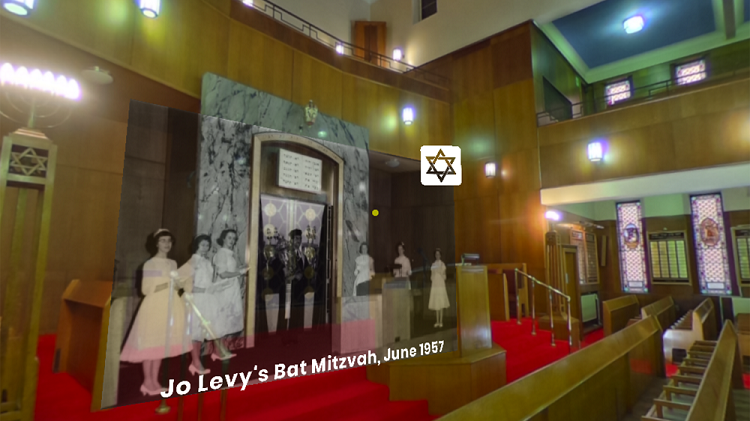 Manchester’s first post-war building and its only city centre synagogue has been digitally preserved for future generations to revisit forever in virtual reality. Manchester Metropolitan University researchers have been working with Archives+ to make a digital record of the Manchester Reform Synagogue on Jackson’s Row – collecting memories, images and films and combining them into a unique VR experience. Both the virtual and real buildings will be open for the public to witness at a special launch event at the synagogue on October 31. 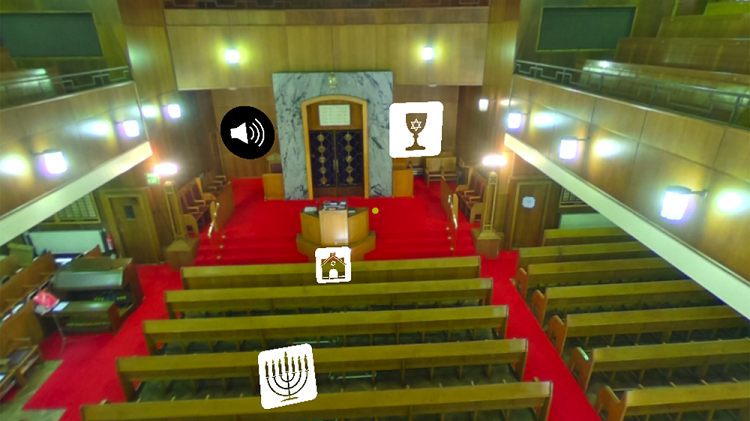 Visitors who don a VR headset will be able to tour the synagogue’s fascinating history and hear personal testimonies from its congregation, as well as gain a rare chance to glimpse inside one of Manchester’s most famous buildings. The research project brought together Manchester Metropolitan University architects, historians and computer scientists. Using a range of digital reproduction methods, including CAD software and laser scanning, they have investigated how to produce virtual models of buildings that can also host oral testimony and other memories. Jackson’s Row synagogue was chosen for the first project because of its cultural significance to the city – the first new building completed after the end of the Second World War, when the previous synagogue was damaged in the Manchester Blitz of 1941. Rabbi Robyn Ashworth-Steen, from Manchester Reform Synagogue, said: “For our Jackson’s Row members this is a once-in-a-lifetime opportunity to experience our synagogue in a unique way. Opened in 1953, the synagogue was designed by Peter Cummings and Eric Levy, both members of the Reform congregation. For our Jackson’s Row members this is a once-in-a-lifetime opportunity to experience our synagogue in a unique way. 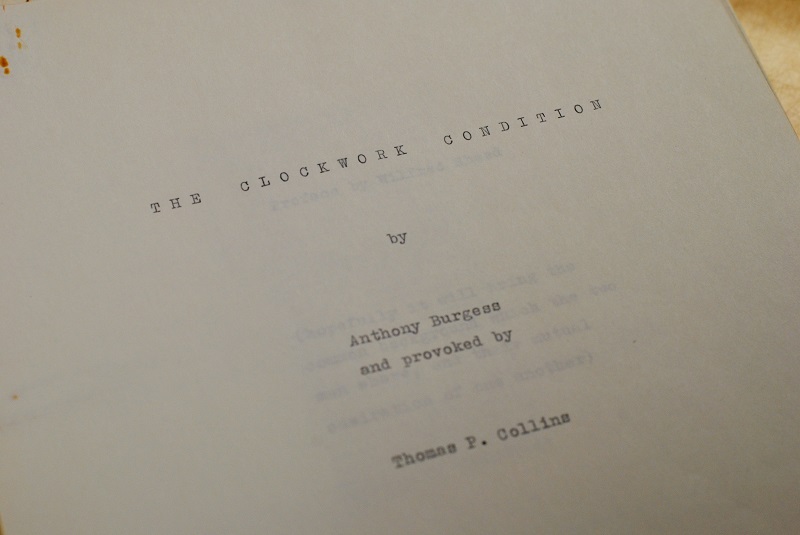 Cummings was also involved in the design of Appleby Lodge (1939) in Rusholme and was the architect for the Cornerhouse Cinema (1935) and Apollo Theatre (1938) in Ardwick Green. 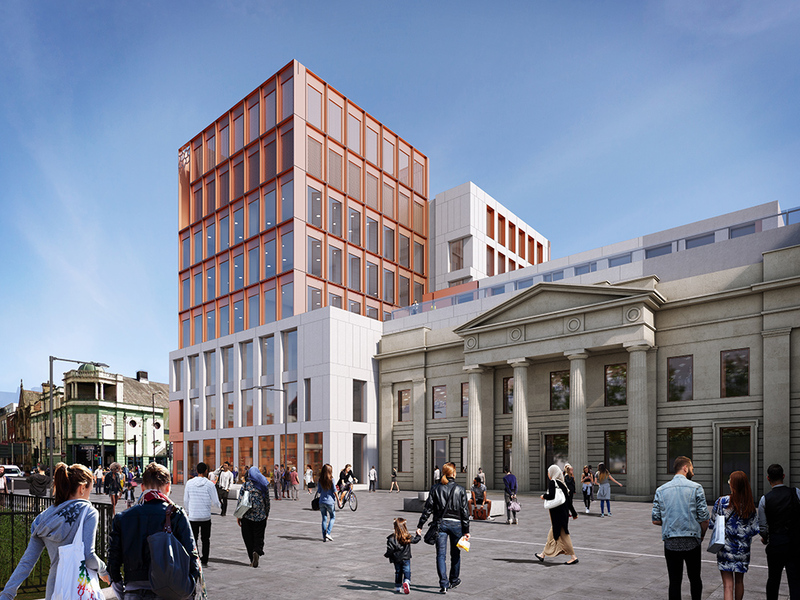 Dr Richard Brook, Reader in Architecture at Manchester School of Architecture, Manchester Metropolitan University and lead on the project, said: “Jackson’s Row synagogue is a building of historic and cultural significance to Manchester. We were incredibly grateful to be given the opportunity to be given access to it and the memories of its congregation for the initial stage of our initial VR buildings project. 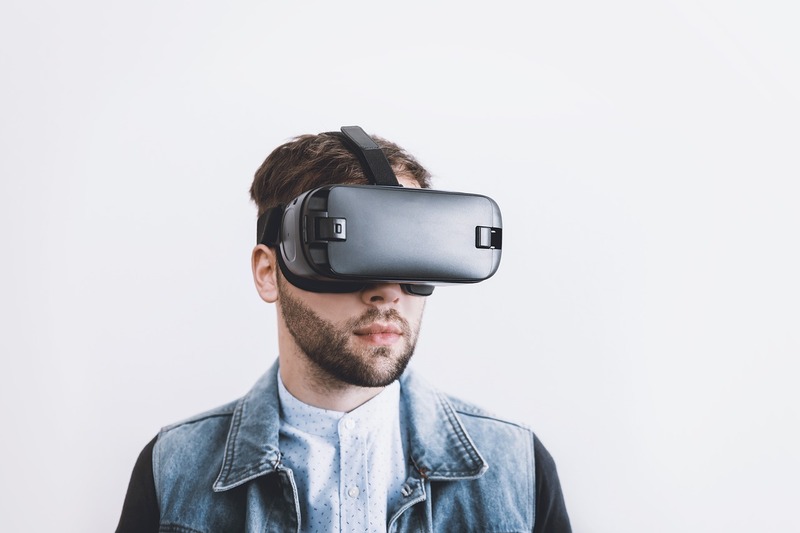 Researchers aim to develop their work further into the production of mixed-reality experiences that can be geo-located, allowing people to visit demolished or redeveloped buildings in their original location using untethered wearable devices. People could, in theory, ‘enter’ buildings where they once stood, walk through rooms and even hear stories hidden in the walls. We were incredibly grateful to be given the opportunity to be given access to Jackson's Row synagogue and the memories of its congregation for the initial stage of our VR buildings project. This would address problems in the planning and development system whereby records are difficult to access, and heritage often lost when old buildings are renovated or demolished. Dr Brook said: “Using the synagogue as a test, we’ve made a model that is more than you would expect of a traditional survey. The ‘Life of Buildings’ research project won funding from the Arts and Humanities Research Council/Engineering and Physical Sciences Research Council’s Research and Partnership Development call for the ‘Next Generation of Immersive Experiences’. 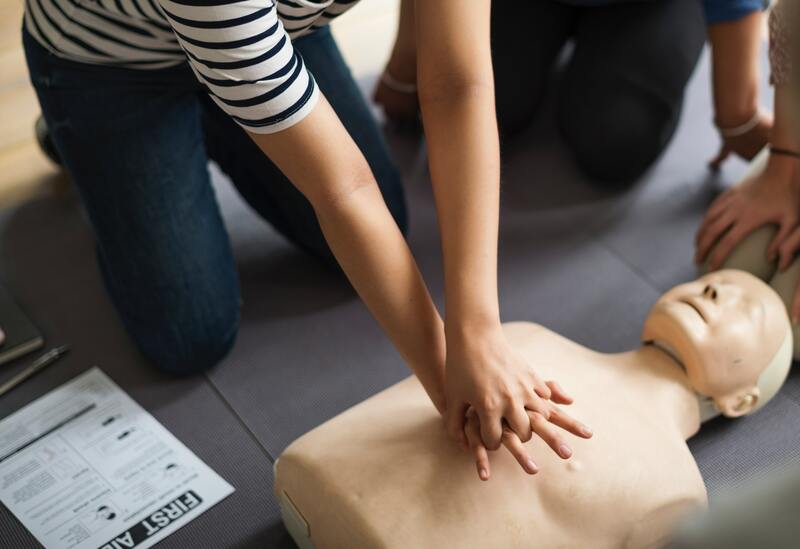 Led by Dr Richard Brook, the project also featured co-investigators Dr Kevin Tan, Senior Lecturer in the School of Computing, Mathematics and Digital Technology at Manchester Metropolitan, and Dr Ben Edwards, Senior Lecturer in Archaeology and Heritage. Michala Hulme from the University’s Manchester Centre for Public History and Heritage assisted in recording oral histories. Partners in the project included local web SME Fablr, Archives+ at Manchester Central Library and Oxford Archaeology North. Life of Buildings: Launch takes place on Wednesday October 31 (5:30-7:30pm) at Manchester Reform Synagogue on Jackson’s Row. Places are limited so visitors must register via Eventbrite.